Month of Makeovers Day 7: Curvy, chrome-y, Cosco love! 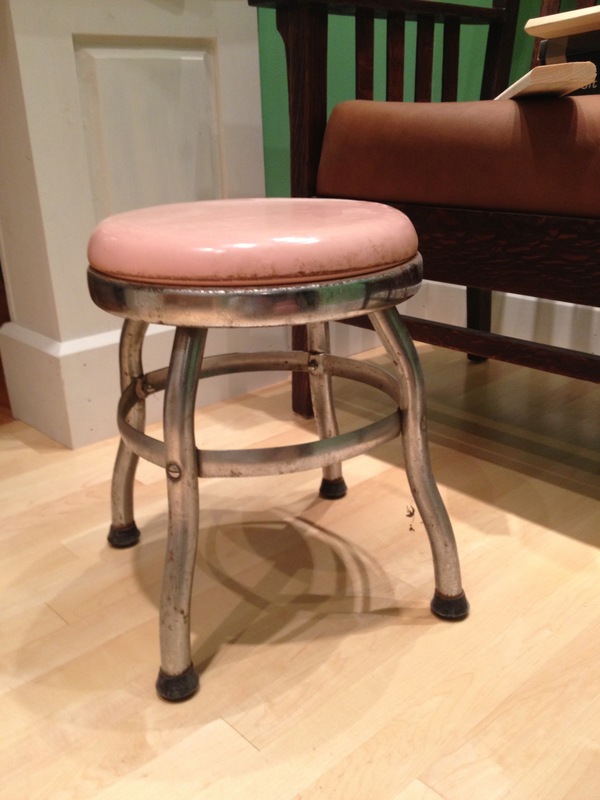 Meet the cute vintage bath stool I picked up at September’s Vintage Bazaar. It’s chrome! It’s curvy!